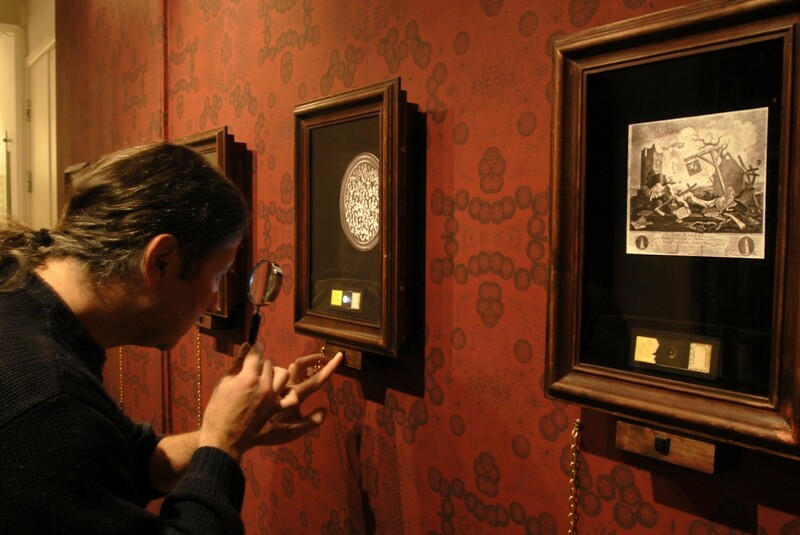 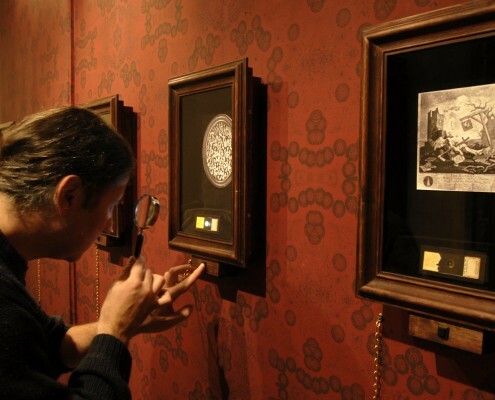 Small Worlds: the art of the invisible was an exhibition of the miniature world of microscopic specimens, revealing the strange and wonderful contents of the Museum’s collection of some ten thousand slides. 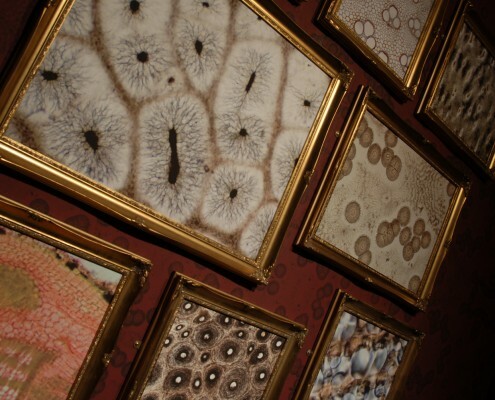 Over three-quarters of these are contained in a single cabinet on permanent loan from the Royal Microscopical Society, with specimens prepared between 1860 and 1930. 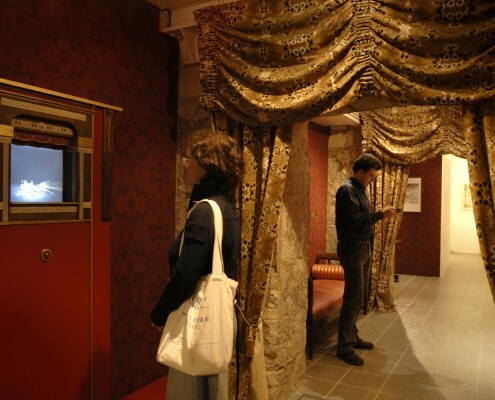 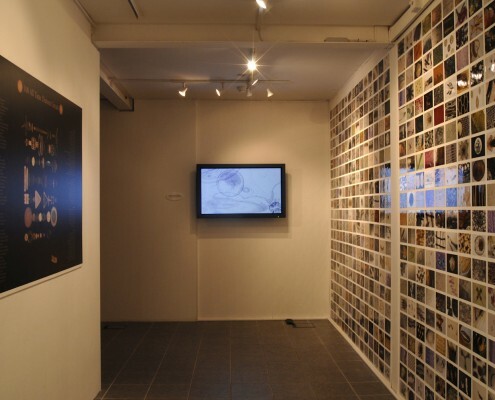 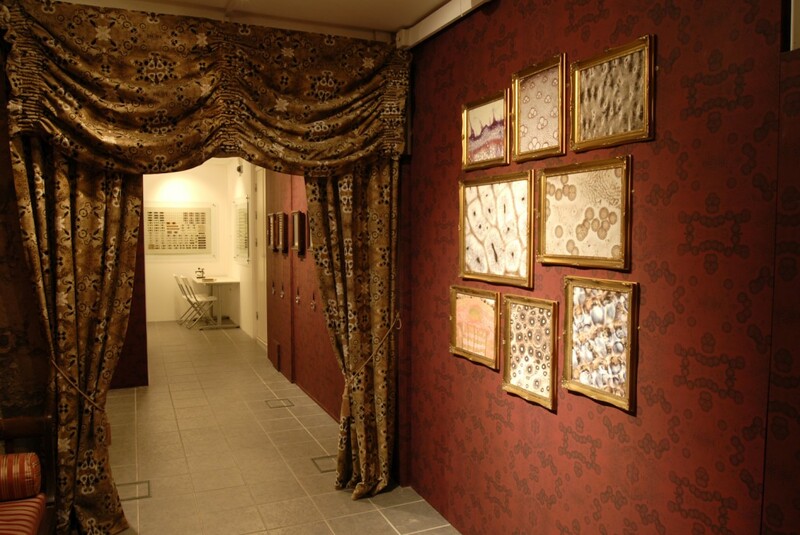 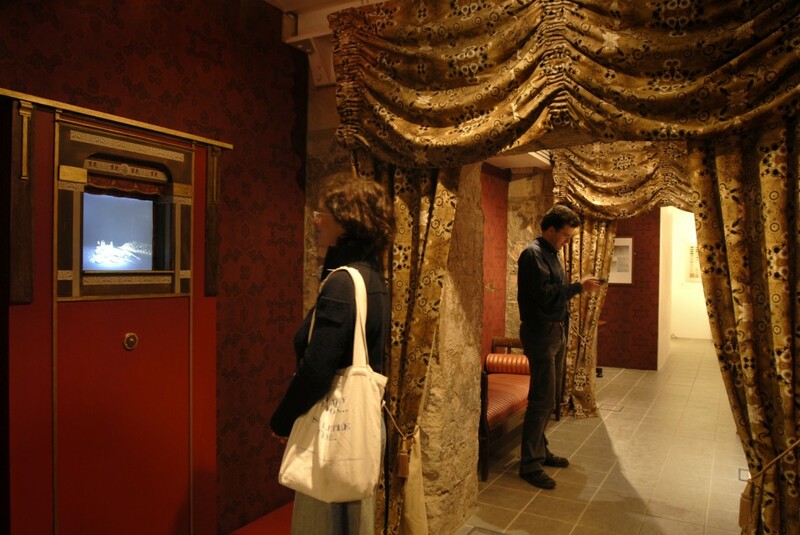 Faced with the challenging task of mounting an engaging display of so many tiny exhibits, the Museum staff collaborated with artist Heather Barnett and performance poet Will Holloway to create ‘Small Worlds’, an exhibition in an unusual range of media – images, objects, film, animation, curtains, wallpaper and poetry. 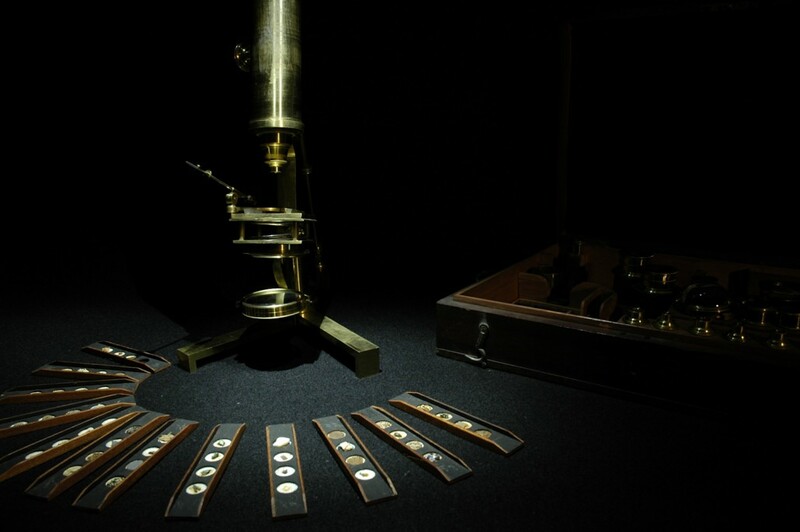 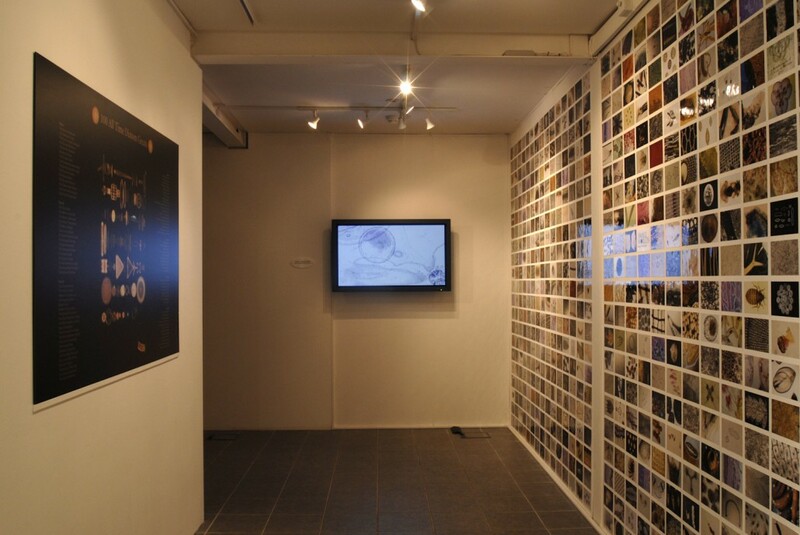 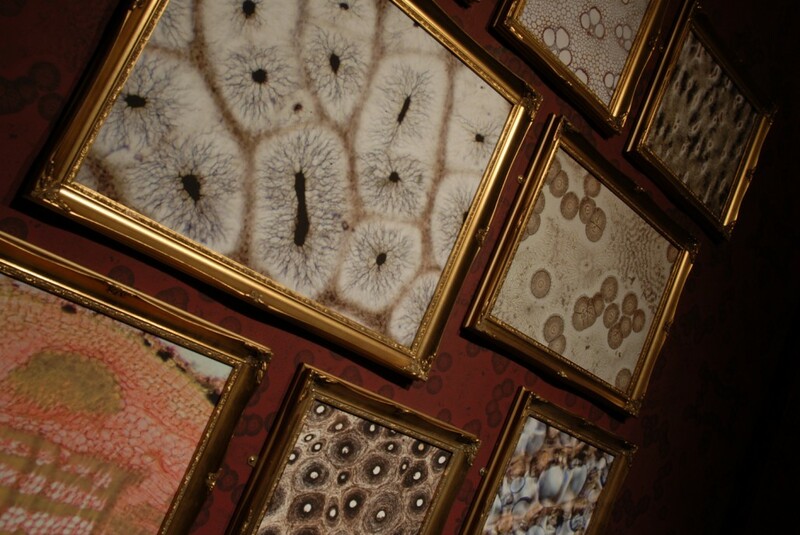 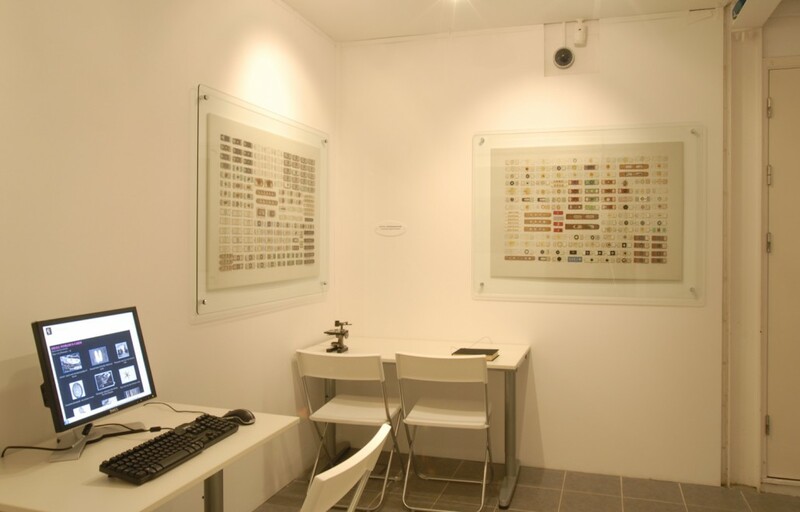 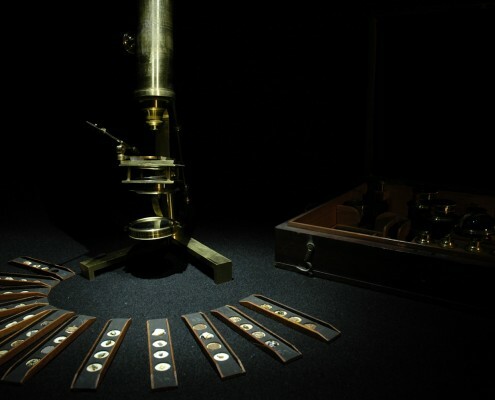 ‘Small Worlds’ was the culmination of a year-long project for cataloguing the Museum’s collections of microscopes and microscopical specimens. 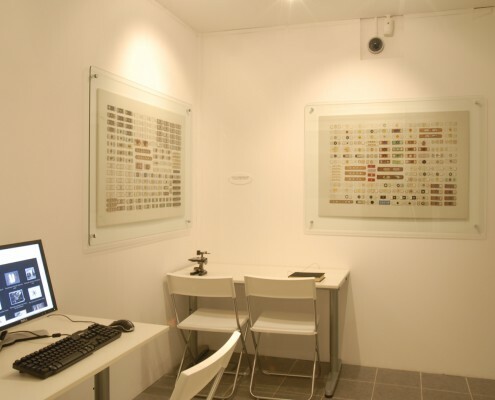 The project and exhibition were funded by the Designation Challenge Fund, part of the ‘Renaissance’ programme of the Museums, Libraries and Archives Council. 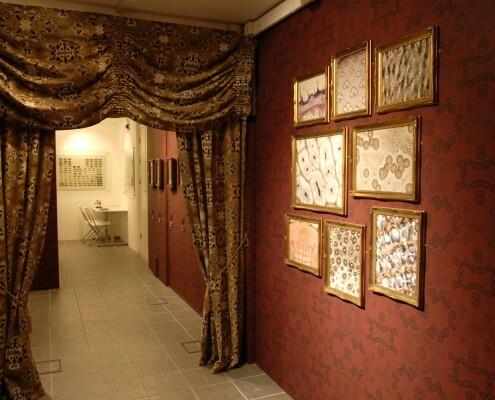 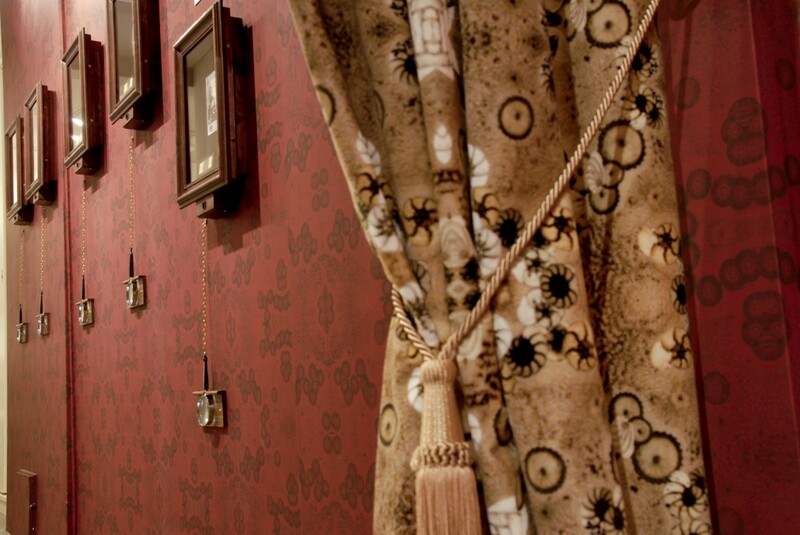 Wallpaper and textile designs created for Small Worlds are also available as part of the micro-designs collection.